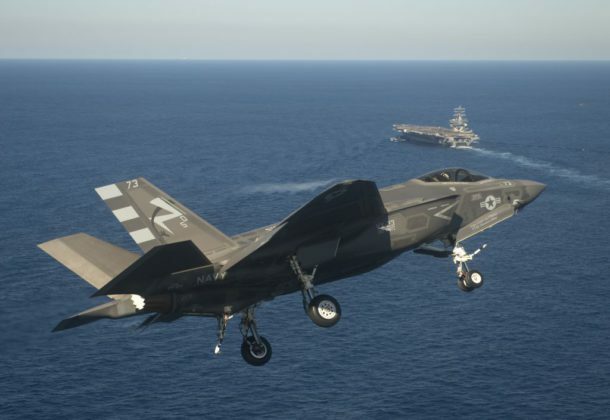 An F-35C flying from USS Abraham Lincoln was damaged during an aerial refueling exercise, in the first major flight mishap for the carrier version of the JSF, reports USNI News. Debris from an aerial refueling basket was ingested into the F-35C’s engine intake, resulting in damage costing about $2 million. More than one in 10 Veterans Affairs jobs is currently unfilled, reports Military Times. The vacancy rate will join a growing list of concerns by lawmakers, including a lack of medical professionals in the VA. More than 45,000 VA posts are currently unfilled, with about 40,000 in the health administration department. A bipartisan group of lawmakers are urging the Department of Veterans Affairs Secretary Robert Wilkie to research marijuana as a potential treatment for post-traumatic stress disorder and chronic pain, reports Stars and Stripes. A company selling bot detection services examined 320,000 social media accounts to develop strategies to guide companies in identifying botnet-directed influence campaigns, reports FCW. The new report uses crowdsourcing and algorithms to identify bot accounts linked to Russia and examine content and metadata for behavioral patterns. A Sept. 4 report from the Intelligence and National Security Agency found no clear lines of authority to respond to a cyberattack on critical infrastructure, reports Fifth Domain. Despite what government officials say are clear lines of authority during a hack, the report lays out how uncertainty was still rife during a simulated cyberattack. Military spouses will find it easier to apply for DoD civilian jobs using military spouse preference, under new procedures being finalized now, reports Military Times. DoD will start flying armed drones out of a remote base in Niger, reports Foreign Policy. The MQ-9 Reapers will operate from new facilities the US Air Force is building at an existing Nigerien base in Agadez for nearly $100 million. Until recently, the drones have been based in Niger’s capital and used solely to collect intelligence on militant groups operating in the region. Emphasizing a free and open Indo-Pacific, the US Navy carried out two high-profile aircraft-carrier training events with Japan in key waters, reports Business Insider. The training is a key part of US strategy to prevent Beijing from tightening its grip on the region by further militarizing the South China Sea. Lockheed Martin will build wings for its F-16 combat plane in India with its local partner, Tata Advanced Systems Limited, reports Reuters. Lockheed is bidding for a contract — estimated at more than $15 billion — to supply the Indian air force with 114 combat planes, which must be all manufactured locally under Prime Minister Narendra Modi’s flagship Make in India program. The Senate Armed Services gavel will almost certainly pass to James M. Inhofe (R-OK), reports Roll Call, a significant change in leadership style and priorities. While the boisterous Sen. John McCain was a hard-charging critic of both the Pentagon and the commander in chief, Inhofe is the opposite, often deferring to DefSec James Mattis on major military issues. DefSec Mattis calls Bob Woodward’s new book, “Fear: Trump in the White House,” fiction, challenging passages that contain allegations of Mattis’ reaction to some of President Donald Trump’s behaviors and statements, reports Military Times. The book contains revelations about how the president allegedly operates and that his most senior aides have little respect for him. The first Boeing 747-100 aircraft coming off the assembly line in 1969 are displayed in a special photo report in Aviation Week. The report details the assembly process, with photos of the second and third aircraft on the production line as well as photos of the first 747-100 being inspected after its first flight. The US issues a severe warning to Syria, threatening a swift and appropriate response if the government uses chemical weapons to attack people in Syria, reports American Military News. Tehran’s foreign policy is set by a shadowy figure behind the scenes — not the leaders who talk to the West, reports Foreign Policy. Mohammad Javad Zarif has been Iran’s foreign minister for the past five years but is being replaced by a quieter but far more influential figure, Ali Akbar Velayati, the longtime foreign-policy adviser to the supreme leader, Ayatollah Ali Khamenei. USNI News Fleet and Marine Tracker: Sept. 4, 2018. Enterprise Services LLC, Herndon, Virginia, is awarded a modified indefinite-delivery/indefinite-quantity contract with a maximum potential value of $787,318,898 for the existing Next Generation Enterprise Network contract (N00039-13-D-0013). This modification will add a new option period that will extend the potential ordering period by 12 months from Oct. 1, 2018, through Sept. 30, 2019. Current and future work will be performed throughout the US, Europe, Guam, Korea, and Japan. No additional funding will be placed on contract or obligated at the time of modification award. This contract modification was not competitively procured because it is a sole-source acquisition pursuant to the authority of 10 U.S. Code 2304(c)(1), one source or limited sources (Federal Acquisition Regulation subpart 6.302-1). This action is a result of a justification and approval that authorizes extending the ordering period by 23 months. The Space and Naval Warfare Systems Command, San Diego California, is the contracting activity. Northrop Grumman Systems Corp., Woodland Hills, California, is awarded $89,046,682 for modification P00014 to increase the ceiling of a previously awarded indefinite-delivery/indefinite-quantity contract (N68936-15-D-0013) for the research and development of AH-1Z and UH-1Y System Configuration Sets (SCSs) mission computers in support of the US Marine Corps. SCS activities include designing, developing, and implementing upgrades to existing mission computer software and ancillary hardware and/or improved functionality and obsolescence management of the mission computer. Other deliverables include system improvement and demonstration products associated with SCS block upgrades to the Integrated Avionics Systems (IASs) such as proposed prototypes, pre-production products, and support equipment enhancements, or simulations and models of weapon systems. Other activities include on-site engineering and studies and analysis that will require Northrop-Grumman to investigate future IAS improvements required by the government, analysis of alternatives, and delivery of documentation that may result in SCS implementation, system improvement, or demonstration products. Work will be performed in Woodland Hills, California (98 percent); Salt Lake City, Utah (1 percent); and Baltimore, Maryland (1 percent), and is expected to be completed in April 2020. No funds will be obligated at time of award. Funds will be obligated on individual task orders as they are issued. 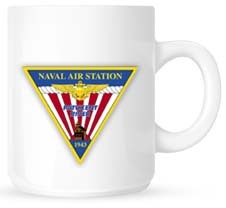 The Naval Air Warfare Center Weapons Division, China Lake, California, is the contracting activity. Cybernet Systems Corp., Ann Arbor, Michigan (W15QKN-18-D-0114); Robotic Research, Gaithersburg, Maryland (W15QKN-18-D-0115); DHPC Technologies Inc., Woodbridge, New Jersey (W15QKN-18-D-0116); Accelerated Development and Support Corp., Arlington, Virginia (W15QKN-18-D-0117); Shield Al Inc., San Diego, California (W15QKN-18-D-0118); and Archarithms Inc., Huntsville, Alabama (W15QKN-18-D-0119), will compete for each order of the $49,999,976 firm-fixed-price contract for Autonomous Unmanned Systems Teaming and Collaboration in GPS-Denied Environments Program. Bids were solicited via the internet with nine received. Work locations and funding will be determined with each order, with an estimated completion date of Sept. 4, 2023. US Army Contracting Command, New Jersey, is the contracting activity.